 Zhengzhou Yifan Machinery Co., Ltd's products are based on safety as the main criteria for the design, and in accordance with the latest design principles and security policy making. However, improper operation or careless operation will still be in danger. Operator and other personnel should be aware of this equipment in a potentially dangerous operation. The product must and can only be used under proper mechanical condition, according to its "scope" and operation of the dangers that can occur when be carefully considered. This manual must be strictly concern, poor mechanical or site conditions will be detrimental to safety, must be promptly corrected. The product can be widely used in mining, smelting, building material, highway, water conservancy and chemical industry and many other industries, crushing compression strength not more than 320MPa of various stones. The "Scope" should also include: Follow all the rules of this manual, the correct and safe operation, and compliance with inspection and maintenance procedures carefully. Products work only by professional and trained personnel to complete, to meet the legal age requirements. To clear the operator's duties. May refuse to allow him to perform by third parties of any unsafe instructions. Personnel should be trained only by a long-term supervision of experienced people responsible for job training or education of the overall product. Engaged in power control, must have a certificate from the person to serve as a power, or under his supervision, and always in accordance with the rules to complete. To carry out all necessary checks to ensure that the product in a safe condition and in good mechanical condition to operate. If you use the product alone, must be provided with the main switch and emergency switch. Visually inspected at least once per shift the equipment damage and defects. There is a fault, to promptly notify the person in charge. Failure, must be shut down immediately and troubleshooting. Machine rotates, the staff can not stand the force of inertia within the line, electrical switch installation should avoid this location. Operating personnel must wear helmets. The machine is running, is strictly prohibited to make any adjustment, cleaning, repair, etc., in order to avoid accidents. Forbidden to put the machine can not be broken material to avoid damage to the machine. Machine to maintenance, turn the power off, and take measures to lock electrical control systems. Machine operation, machine work overload is strictly prohibited. Prohibited when the machine is running toward the machine from the crushing chamber catchy peek inside. Electrical equipment should be grounded, insulated wires should be reliable and packed in serpentine tube. Machine transmission parts must be an additional safety device. in the product can not climb the equipment running or touch moving parts, is strictly prohibited clean up any blockage. Machine is running, there may be flying rocks and other objects, so in hazardous areas should always wear a helmet. Follow the instructions on adjusting , maintenance , inspection procedures and replacement of parts or equipment and all other details. Only trained technicians to complete this work . Related to the operation of the device , modify, convert or adjust any of the work , as well as inspection, maintenance and repair of its safety devices should follow the instructions presented on starting , stopping , maintenance elements of the procedure . In the maintenance and repair period , the motor control must be locked in the off position and disconnect switch at the main danger signs hang in the maintenance and repair period to ensure that the device will not be activated. Moving parts and heavy structures , to comply with careful handling and lifting work steps to avoid any possible danger . Use only suitable , properly designed hangers and handling equipment with sufficient capacity . To have sufficient capacity on the part of the ground, must not stand in the suspended load and work below . In the lifting components , use only approved lifting equipment and slings , lifting each one before you tighten the bolt rings . Maintenance and repair work after the end of a good to tighten any loose fittings , bolts, expansion sleeve and so on. Use only suitable and recommended capacity fuse, never use than electric traction marked higher capacity fuse. There is a power failure, the device should stop in time. Carry out any work on the electrical equipment, only by a technician certificate or a certificate of electricity down the complete guidance and supervision personnel. Also comply with all the norms and regulations. Within the prescribed period, the power device must be checked. Like loose contacts with the damaged lines and other mistakes Department must immediately repaired. This work also must be performed by a person or by a certificate of electricity required by law to complete the relevant personnel. During blasting operations, shall be prohibited to use radio control device, which may cause premature detonation. Must prevent explosives into the device. Use only suitable and adequate transportation capacity lifting equipment. Only suitable lifting points tied tight on only after lifting equipment. Any parts of the mobile device prior to disconnecting the external power supply and properly before restarting again turned on. According to the instructions for each of the test work. 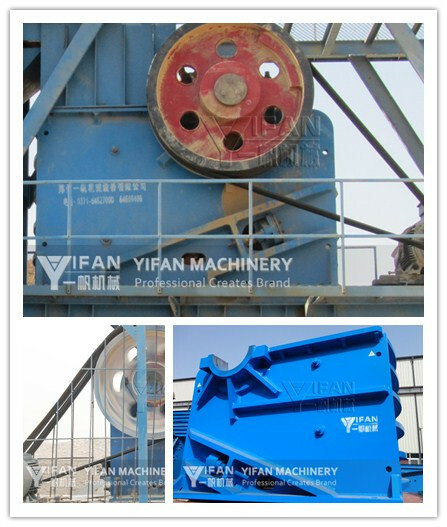 PREV:How to choose cone crusher? 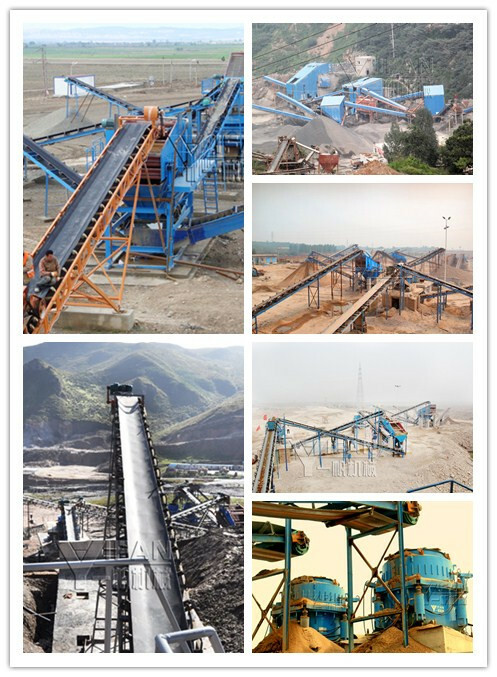 Gravel aggregate production line is generally used in what type of cone crusher?